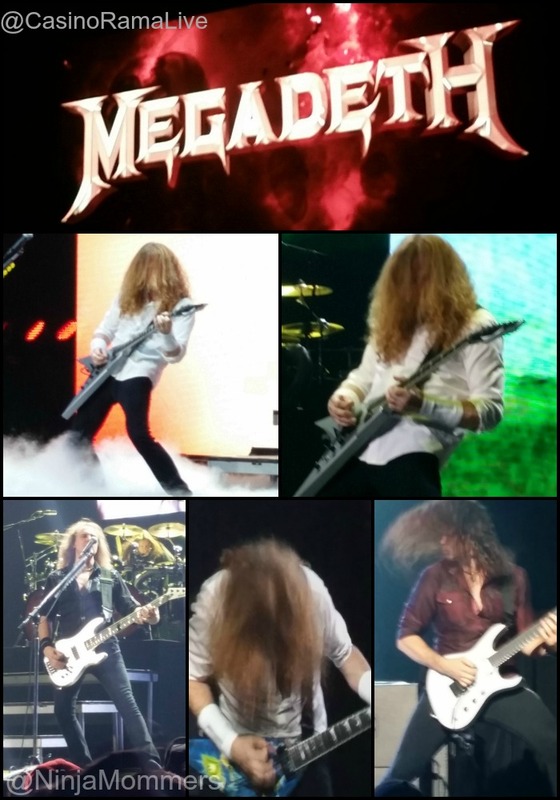 Husband and I recently had the chance to go see Megadeth at Casino Rama! What an amazing experience! 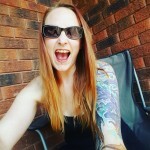 If you have not been to Casino Rama, then you need to check it out! 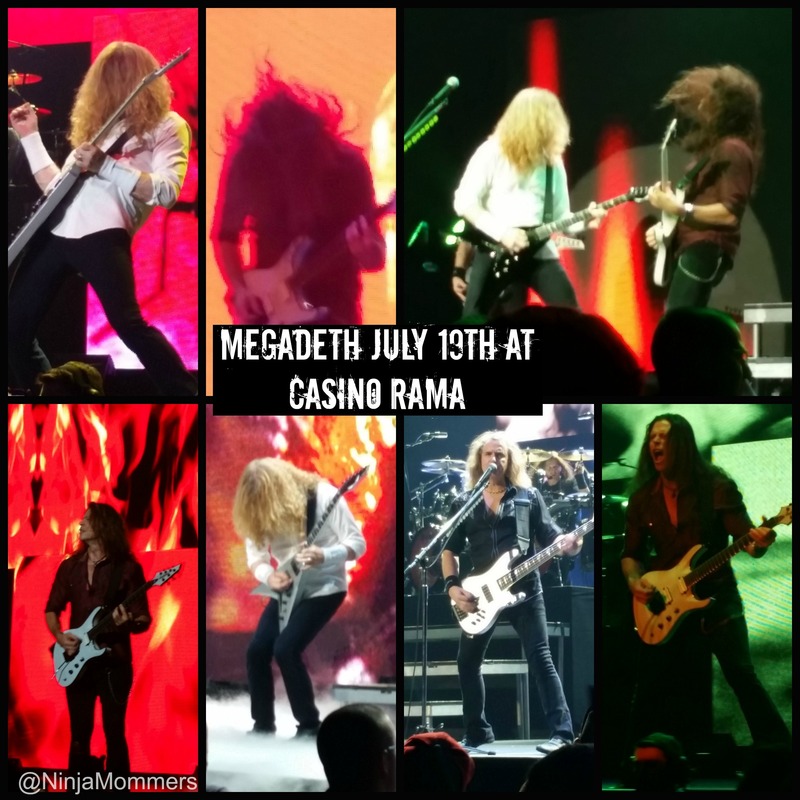 On Saturday July 19th 2014, Megadeth Headlined for the first time at Casino Rama. Husband and I went to the show for a Date Night and we were not disappointed. The venue was clean, we had amazing seats and the show not only sounded great, but we were given many different awesome vantage points with the large screens mounted on the walls! The Opening Act, Mandriod Echostar, was a local Metal band out of Guelph, Ontario. They did an awesome job of pumping up the crowd for the main act. With a hard sound and fantastic band behind him, the singer Michael Ciccia belted out a few amazing songs leading the way to Megadeth. When Megadeth took the stage, they took it with a vengeance. Lead Singer and Lead Guitarist Dave Mustaine with his head of beautifully metal, strawberry blonde hair covering his face for the majority of the show, was a treat to finally see in person. Megadeth’s Lead Guitarist Chris Broderick did a great job of energizing an already energized crowd of Metal connoisseur’s, encouraging crowd interaction and smiling up a storm. David Ellefson, Megadeth’s bass guitarist was amazing as well, interacting well with the crowd and slapping the bass like nobody’s business. Megadeth’s drummer Shaun Drover, killed it, the drums sounded fantastic! 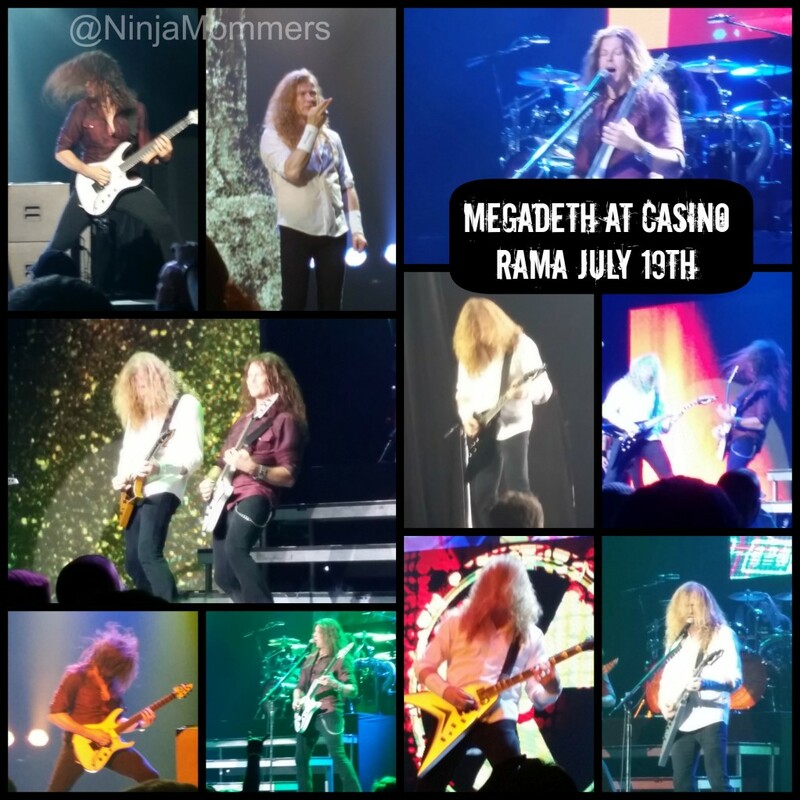 During the show, clips were played from several different popular movies, one being Wayne’s World, where Megadeth was referenced, that not only got the crowd going even more, but also added an element of humour to the show. Megadeth ended on an awesome note, Dave Mustaine came out and spoke to the crowd, expressing his pleasure with not only the venue but with Canada in general. The Crowd ROARED. Dave Mustaine left the stage, only to be brought back by the crowd chanting for more, soon after the entire band returned to the stage to deliver Holy Wars, the Encore of a lifetime. The show ended and left a crowd of very happy metal heads and an awesome vibe! 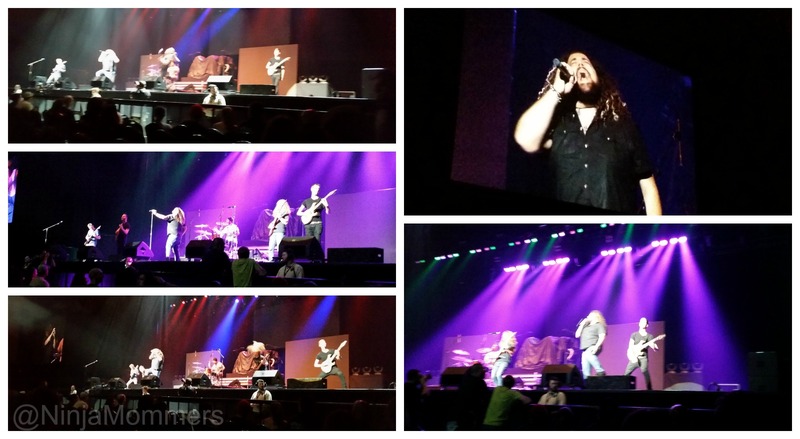 Casino Rama is a great place to go see a show. The sound was flawless, the speakers did an amazing job of projecting every word, every sound. The large mounted screens allowed everyone to get up close and personal with the band, especially during the Holy Wars solo, where the crowd got to experience close ups of Dave Mustaine’s pick work. I love Casino Rama’s Entertainment center, and after our first experience there, it is decidedly my favorite venue for concerts. 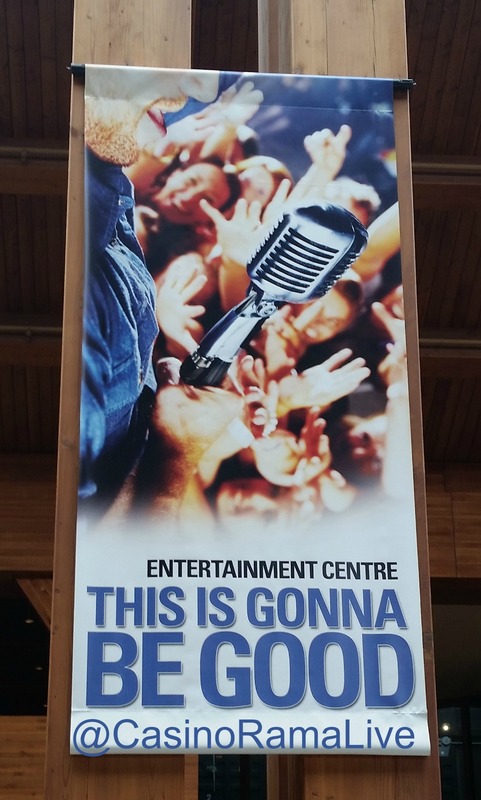 Have You Ever Been to Casino Rama’s Entertainment Center? What did you See?